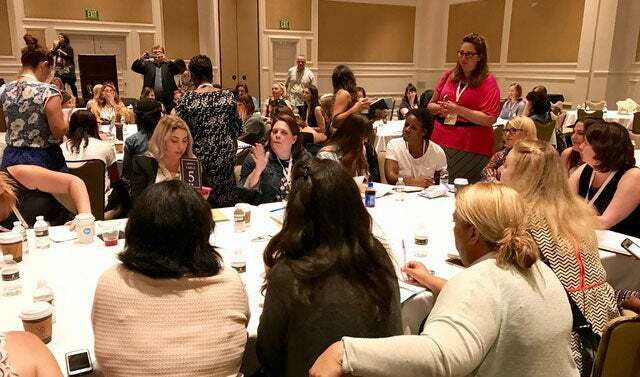 The Mom 2.0 Summit was held just a couple of weeks ago in Pasadena, and there was so much great information to absorb and share. It was my second time attending, and I came back loaded with blogger tips from Mom 2.0 2018. I went into this year with more purpose and intent, and I left so energized and full of ideas that I couldn’t collect all my thoughts fast enough. 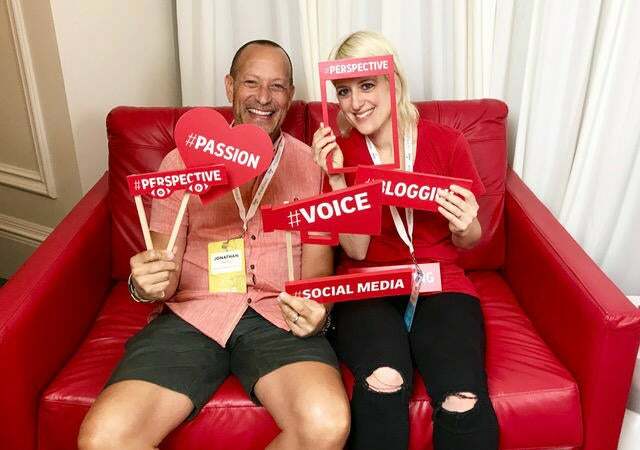 Both Indra Gardiner Bowers and I attended, because it’s imperative we stay current on all the latest trends in the blogosphere, and because we practice all this knowledge on our own blogs. Using ourselves as dad- and mom-blog guinea pigs, we create programs and initiatives for my family travel blog, 2DadsWithBaggage, and Indra’s newly launched Our Bird Has Flown – a platform she created with her husband, Paul, to offer wisdom and real stories for empty nesters and parents whose children are off to college. After all, how can we properly advise clients on opportunities to engage with influencers successfully if we’re not immersed in that world ourselves? Luckily we are, which is why Mom 2.0 was especially helpful. 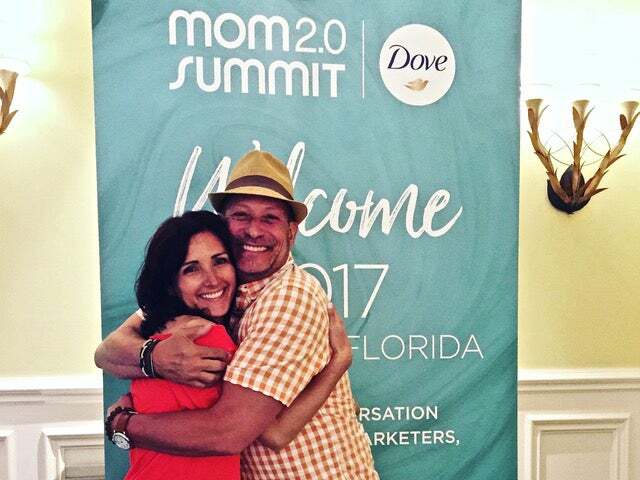 There were so many great speakers and so much great content shared at this year's 10th Anniversary of Mom 2.0. Indra and I decided to divide and conquer, splitting up competing subjects during the same time slot and getting back together afterward to compare notes. 1. Storytelling is still king. Brands and audiences both want a true and interesting story from influencers, written from their own real lives and perspectives. If the story is engaging and the reader is hooked, they will keep coming back for more. Don’t sell them something; tell them a personal story. 2.Focus on the how. How will your content help others? Are you sharing enough details for people to truly learn from your story or social post? 3. Be yourself. Your own story and authentic point of view is why others are attracted to your content. It’s why they follow you. Do you, in your own voice, and don’t pretend to be something you’re not. 4. Instagram stories are more important than your profile. IG wouldn’t be promoting stories so much unless they thought it was important, so you should, too. Play, experiment, attempt to get out of your head and just be yourself. Try to post an IG story everyday, even if it’s just a little something. 5. Brands plan at least 6-12 months ahead, and you should, too. When approaching a brand for a potential partnership, remember that they’re planning in advance. Don’t pitch them something that’s happening next week. 6. Form a mastermind group. Get together with your friends, people who write about similar subjects, people in your area, or all of the above. We can all help each other be successful if we support and share. 7. Understand your numbers. In order to measure whether your content is relevant, you must look at your Google Analytics and social metrics to see what’s doing well and what’s not. Stop doing what doesn’t work and start doing more of what people love. It’s that simple. 8. Search engine optimization is EVERYTHING. If you aren’t coding your content for searchable terms, you will not be found. If you aren’t writing alt text for every photo, they will not be found either. 9. It takes time to do this right. Being a social media influencer is not easy, nor is it a hobby – It’s hard work. Creating good content takes time. So does planning, making sure SEO is in place, managing visual content, coding, and sharing across social media platforms to ensure people actually see it. There is so much more we learned beyond these few simple tips. Between Indra and I, we must have dozens of pages of notes, all incredibly value. It gave each of us a mile-long to-do list, and I, for one, cannot wait to tackle it. Thankfully, I have my 9 blogger tips from Mom 2.0 to get me started!